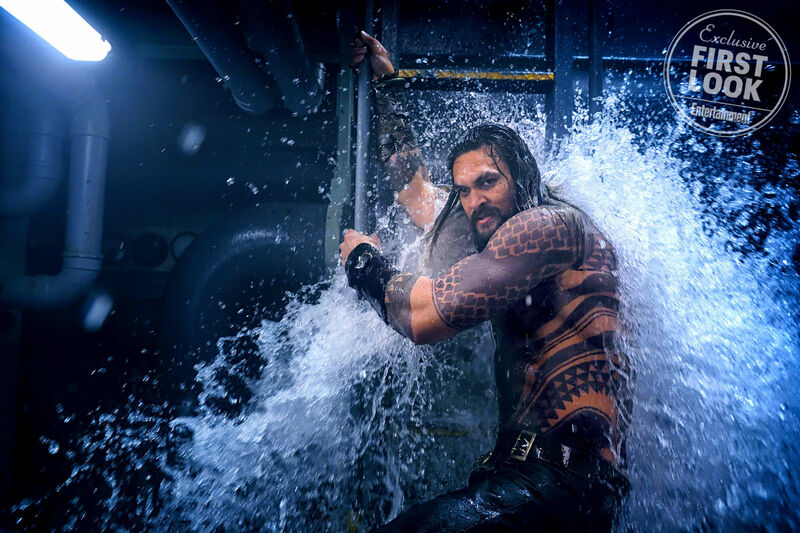 Entertainment Weekly has put out one of their cover stories, which means it’s time for a bunch of new images from the upcoming Aquaman. These images contain a lot of first looks at the various supporting players from the movie and closer looks at some familiar faces. Aquaman (Jason Momoa) storms a submarine under attack by pirates. 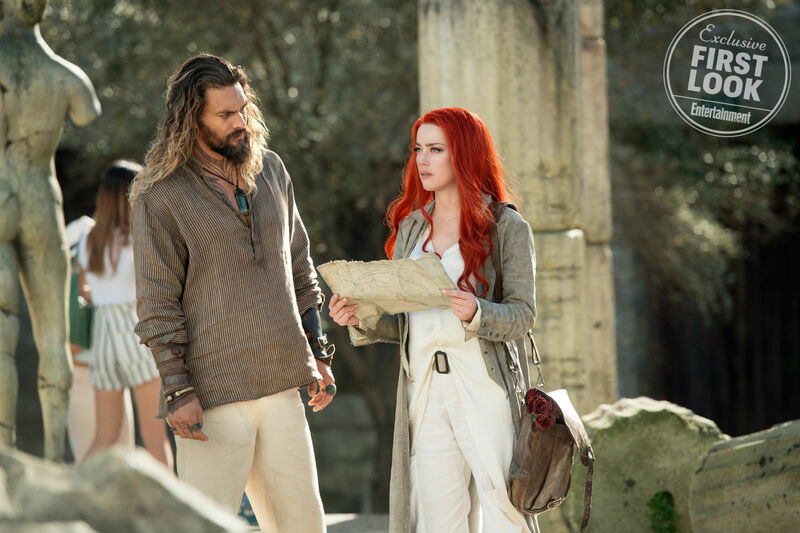 Arthur Curry and Mera (Amber Heard) embark on a quest on the surface world. 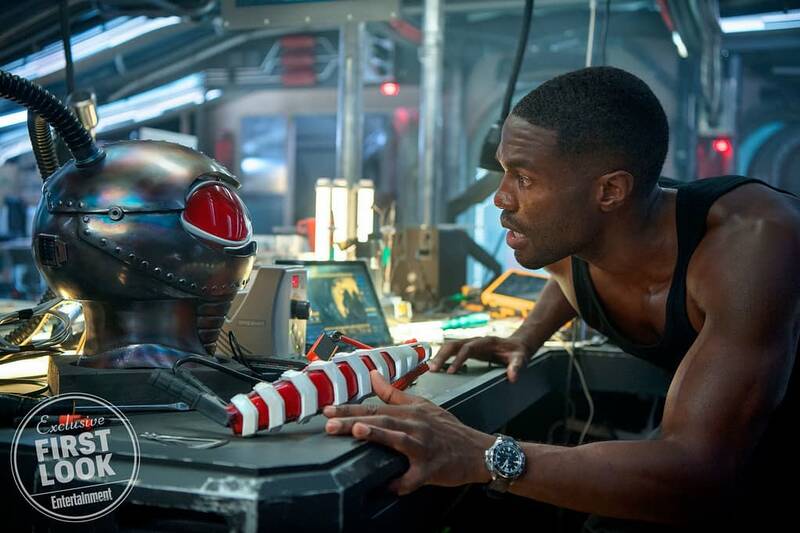 High-seas mercenary Black Manta (Yahya Abdul-Mateen II) tackles a prototype for his super suit and prepares to rays hell. 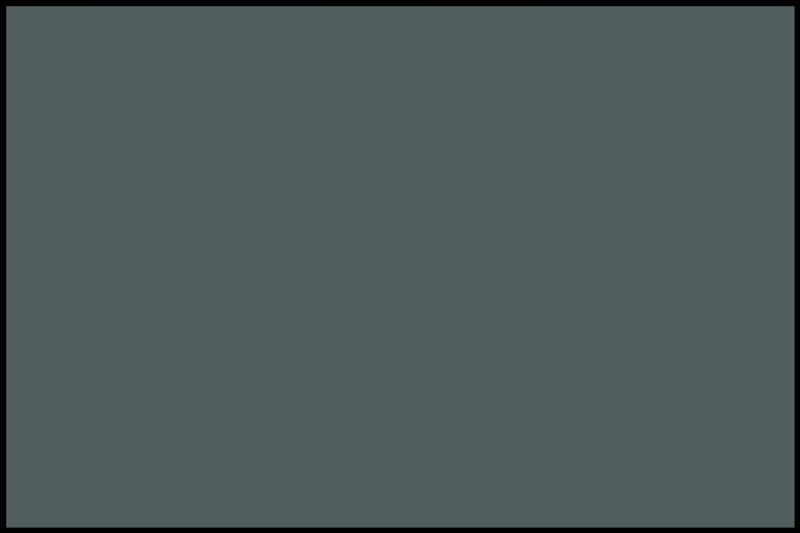 Aquaman faces off with his ambitious half-brother King Orm (Patrick Wilson) who wants to declare war on the surface world. 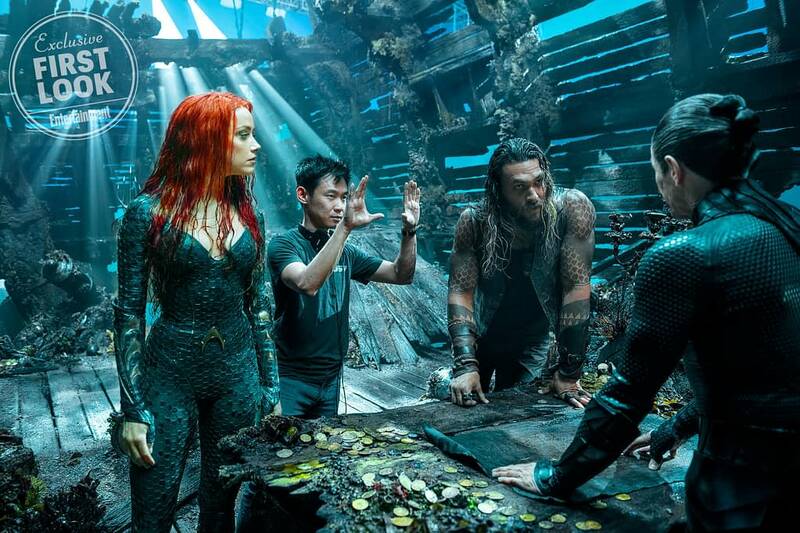 James Wan directs Heard and Momoa inside a galleon as they encounter Aquaman’s mentor Vulko (Willem Dafoe). Queen Atlanna (Nicole Kidman) protects a young Arthur Curry. The wig that they have Amber Heard in seems to be one of those wigs that looks good from certain angles only, so we’ll have to see how it ends up looking in motion. It appears to be considerably redder than the one we saw in Justice League.